KUALA LUMPUR: Local engineering students remain unaware of potentially lucrative and stable careers awaiting in public transportation, a sector that is both booming and being aggressively promoted by the government, stakeholders and experts have said. Prime Minister Datuk Seri Najib Razak’s administration alone is estimated to have pumped in more than RM150 billion into the sector and has promised more to come, as he aims to boost public transport use with large-scale projects including a high-speed rail link that would halve the current travel time to Singapore. Yet careers in public transport are the least popular among the country’s large pool of civil engineering students, according to data gathered by TalentCorp, the government agency set up to entice local and foreign talents for state agencies and government-linked companies. One reason for the lack of interest could be the field’s underexposure, suggested Datuk Najmuddin Abdullah, director of strategic communications and stakeholder relations of MRT Corporation (MRTCorp), the state-owned company behind the country’s first mass rail transit lines. “Most do not know what other field they could venture into beyond what they have majored in school,” he told Malay Mail Online in an email interview. ‘For example, those who are majoring in civil engineering would think their options would be limited to project structure [and] project management, when in fact they could have also gone into the rail industry,” he added. Virtually all public Malaysian universities offer some form of engineering course and they produce up to 10,000 thousand graduates yearly, but only a fraction — just over 300 for 2015 and 2016 — go into the public transport sector, TalentCorp chief executive Shareen Shariza revealed at a recent symposium on public transport. According to the agency’s data, two in three public transport workers hold no more than SPM-level qualification; graduates and above only make up five per cent of those who work in design, build and operations. To fill that gap, the government has had to rely on foreign engineers, although Najmuddin stressed that just a “handful” of foreigners are at now the top and second tiers of the MRT projects. “They are generally those who were previously working on the Singapore MRT project,” the MRT Corp official said. 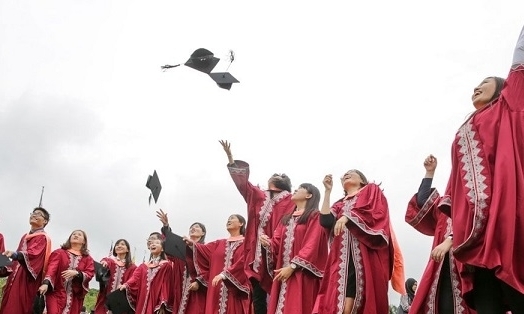 Industry insiders suggested that the starting pay for entry-level positions may also be another deterrent towards attracting fresh graduates. A junior engineer in the rail sector can expect to be offered around RM2,500 or the same as most starter positions for over a decade now, although salary growth increases exponentially soon after, with senior executive engineers said to take home five-figure incomes. The 150km MRT is arguably the government’s biggest public transport infrastructure project to date, with close to RM90 billion allotted for two lines: the Sungai-Buloh-Kajang line (SBK) line that is already operational, and the second, the Sungai Buloh-Serdang-Putrajaya line (SSP) scheduled for completion in 2022. A third MRT line, dubbed the Circle Line, has also been announced and is targeted for 2025. The project is considered a major milestone for the Najib government, and the prime minister made it clear that efficient public transport would remain a top priority under his leadership. The Pekan MP also said public transport would be a key growth driver for his economic plans. The government is expected to spend RM150 billion on public transit projects by 2020 and create more than 300,000 jobs, half of these from the three MRT projects alone, the prime minister said in 2013. This would translate to a surge in demand for skilled and specialised manpower for the sector, Najib said. But acquiring the right talent for the job could be tricky. Even with the available number of local engineering graduates, most are not trained specifically for the public transport sector, MRT Corp said. “We don’t face difficulties in sourcing local talents. However, in acquiring quality talents, especially for the rail industry, is another thing,” Najmuddin explained. “We need local talents who are capable in meeting the project’s needs… even if we bring in many talents but they aren’t trained for our needs it would not serve the intended purpose,” he added. The myopia is also not limited to students, as National Public Transport Users Association president Ajit Johl pointed out: apart from ad hoc training programmes, no learning institution in Malaysia offers specialised courses for land public transport at the moment. This may soon change with the advent of mega projects like the MRT 3 line, East Coast Rail Link and the Kuala Lumpur-Singapore High Speed Rail link, which are expected to further drive the public transport industry and create high-paying jobs as demand for specialised engineers increases, Ajit predicted. Aside from the obvious demand from the infrastructure projects mentioned, he said there was also increasing deregulation in the public transport sector, such as the rise of ride-sharing and the decoupling of the rail industry from its traditional players, which will encourage greater participation from Malaysians. “Public transport will be a large sector,” he told Malay Mail Online. Malaysia Rail Link, the company developing the ECRL project, is reportedly planning to open a specialised institute to train rail engineers. But a single specialised institute may not have the capacity to produce enough graduates to meet the industry’s huge demand, the NGO leader said. “We welcome the move. It’s a step in the right direction… but it would be better if more local universities also offer courses for the public transport industry. “This is important because, I think, at one point we want to be able to export our rail expertise and not just buy trains,” he explained. MRT Corp’s Najmuddin said public transport companies with government support are already funding specialisation courses for employees, such as the Industrial Collaboration Programme in which they partner international companies such as Siemens for technology and talent transfer. “Siemens have trained local talents in the process of assembling train parts through a joint venture. Our trains are fully assembled here, with the plant located in Rasa, Selangor,” he said. Najmuddin concurred, however, that emphasis should be given to producing more local graduates for the public transport sector given the industry’s rapid growth.